The year is 4081 and the people of earth are in peril. Ramadu, the mighty and sinister ruler of the planet Neburon is about to declare war on a weaker and smaller earth - a war which would mean complete destruction on the part of the people on earth. For thousands of years the inhabitants of Neburon have watched the struggling and developing earthlings as one would watch animals in a zoo. But earth was catching up to Neburon - technically, medically, scientifically, all ways. Neburon had once been extremely advanced compared to earth, but had grown comfortable and lazy. The Neburites were angry about earth's advancements - if something were not done about it, earth might very well pass Neburon in superiority in a few decades. so when Ramadu came to power, he chose war rather than productivity and collaboration with earth. The year is 1981. Waking from sleep, you are haunted by the memory of a strange dream, a dream of a terrestrial guardian offering you the ability to travel through time and space, and choosing you to secure earth's future by destroying the ruler of Nebulon. Discovering a futuristic time machine in your backyard, you realize it wasn't a dream at all! Realizing you need to be prepared before entering the enemy's interplanetary domed city two millenia into the future, you travel from continent to continent and from 400 Million BC to 2082 AD to gather necessary items to overcome the possible hurdles on Nebulon. On your way you'll meet dinosaurs, cavemen, cannibals, Incas and historical figures such as Cleopatra, Christopher Columbus, Benjamin Franklin and many more, as well as visit places such as Buenos Aires, Paris, Tokyo, Los Angeles, St. Petersburg and Sidney - an adventure spanning millions of years across the whole globe and beyond! Time Zone is the sixth Hi-Res Adventure by On-Line Systems (with Hi-Res Adv. #0: Mission Asteroid being the third). 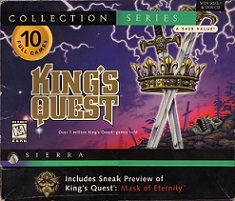 Designed by Ken and Roberta Williams, along with a small team of artists and producers, it was Sierra's first game built by an actual team of people (most games until then were developed in their entirety by one individual) and the largest game ever designed by On-Line Systems at the time, maintaining that record until the late eighties. Occupying six double-sided Apple II floppies and containing well over 1,000 different backgrounds, covering seven continents across eight time periods. Word has it that artist Terry Pierce was close to a mental breakdown due to the seemingly never-ending workload of graphics. Although development started in the beginning of 1981 after the release of Hi-Res Adventure #0: Mission Asteroid, it took over a year to complete the entire game which was eventually released in March 1982, missing the target release date of Christmas 1981. 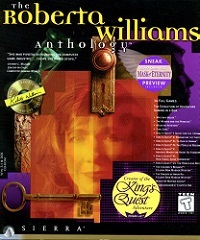 It was also the reason that Roberta Williams was not involved in Hi-Res Adventures #3 and #4: Cranston Manor and Ulysses and the Golden Fleece. 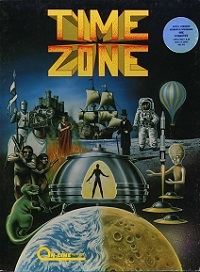 First released for the Apple II, Time Zone was due to its size released for a retail price of a whopping 99 US Dollars, which resulted in relatively poor sales compared to other titles in the Hi-Res Adventure series. It was however awarded with a Certificate of Merit in the category of "Best Computer Adventure" at the 4th annual Arkie Awards. It was also released for the FM-7, PC-88 and PC-98, as well as re-released as a SierraVenture title.